Taoiseach (Irish prime minister) Leo Varadkar has met and apologised to the family of a murdered Donegal woman after a misunderstanding about her citizenship. 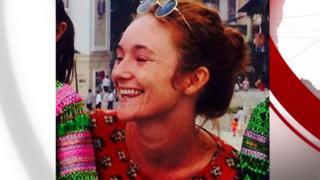 Danielle McLaughlin was found raped and strangled in the state of Goa, in India, in March last year. Her mother requested a meeting with Mr Varadkar to discuss how other families could be better supported. The request was initially declined as Danielle travelled using a UK passport. Miss McLaughlin's mother, Andrea Brannigan, met Mr Varadkar in Londonderry on Tuesday evening. Mr Varadkar described the meeting as constructive and said the Department of Foreign Affairs is now assisting the family. Ms Brannigan initially sought a meeting with the taoiseach to discuss how the government could improve services for families who have loved ones die overseas. However, Mr Varadkar's assistant private secretary said a meeting was "probably not worthwhile" adding: "I note Danielle was not an Irish citizen". The secretary then advised Ms Brannigan to contact Foreign Secretary Jeremy Hunt. In a statement released on Saturday, the taoiseach's department said officials "incorrectly concluded" that Miss McLaughlin was not an Irish citizen as she had travelled to India on a UK passport. Speaking after the meeting on Tuesday, Ms Brannigan said Mr Varadkar apologised and offered his condolences. "It was very emotional," she told BBC News NI. "We told him what our concerns were and I told him I was upset about the message that came from his office. He understood me. "Someone from the foreign office was there too and they are going to look into the matter." Danielle's sister, 20-year-old Joleen, said: "I walked in with my mum very open minded because we were let down so many times before. "He actually listened to us and asked what we wanted to change in the future." Asked if she can forgive the taoiseach and his office about what happened, Joleen said: "Danielle would want us to forgive, so yes. "We want Danielle's name to be remembered and he said he would work to try and make that happen." After the meeting in a hotel in Derry, Mr Varadkar said: "I offered my condolences to them on Danielle's tragic death. I also apologised for the error my department made with respect to her citizenship. "Ms Brannigan gave me several examples of how the government could better assist her and other families in similarly difficult circumstances, including the appointment of family liaison officers, an amendment to the Victims' Charter, more written information, counselling services and monitoring of overseas trials by our diplomatic staff. "I agreed to follow up on these matters and a contact person has been assigned to her in the Department of Foreign Affairs."